Quality Italian, the renowned Italian-focused steakhouse from the Quality Branded group, is seeking PASTRY COOKS for AM Shifts at the Cherry Creek location in the Halcyon Hotel. - 2 years experience preferred. Quality Italian, the renowned New York Italian focused steakhouse from the Quality Branded group, is coming to Cherry Creek in early 2017. 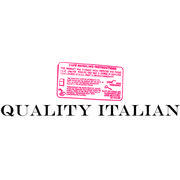 Quality Italian presents a menu of modern day adaptations of traditional Italian‑American steakhouse fare. Quality Branded is a group of upscale restaurants, which are owned or managed by father-son restaurateurs Alan and Michael Stillman with chef Craig Koketsu, including the flagship location of Smith & Wollensky, Maloney & Porcelli, Quality Meats New York & Miami Beach, Quality Italian, Park Avenue (Autumn, Winter, Spring, Summer), and their newest location, Quality Eats. The group is currently working on opening Quality Italian Denver in early 2017. Quality Branded makes offering comprehensive benefits to our employees a priority. We offer fantastic traditional benefits as well as some great perks that we hope makes you love working here! In addition to our benefits, we pride ourselves on our long term employees and opportunities for growth in your career, and have a commitment to develop our current employees and promote from within whenever possible.